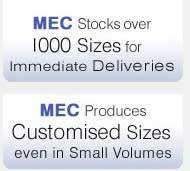 MEC Bearings Pvt Ltd offers widest range of precision rolling elements with different end configuration. required are available in stock. Do check with us for latest stock updates!! dimension can be manufactured in large volumes. In order to ensure defect free and robust packing, the rollers are packed in corrugated boxes (minimum BS 13 Kg/cm2) double sealed with anti rust VCI paper. 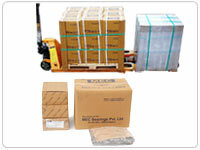 Further these boxes are packed in outer cartons (minimum BS 20 Kg/cm2) and sealed.